The village is situated in the east of the county of Wiltshire, about 6 miles east of Pewsey, seven miles south-east of Marlborough and six miles from the County borders with both Berkshire and Hampshire. West Grafton, a straight line hamlet, is situated along a cul de sac which turns South from the A338 and is the smallest of the hamlets in the Parish. 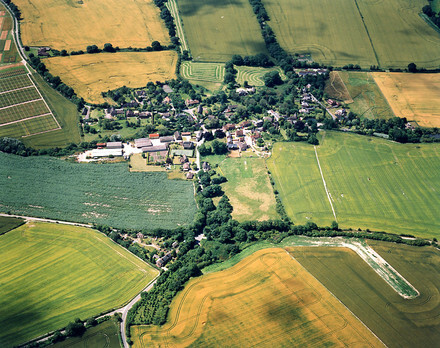 East Grafton, the largest of the hamlets, is divided into a number of distinct areas each reflecting growth stages in its development. It is a small attractive village. The main Pewsey to Hungerford road, the A.338, runs through the village. Marten lies south of the A338, it is a hamlet which has grown from a traditional farm with farm cottages. Wexcombe is another hamlet along a small road running from the fairmile which serves houses in the hamlet alone. Houses abut lanes and pathways in a meandering layout. The Wilton hamlet is associated with the 1821 working Wilton Windmill which is an historic site and attracts visitors in the Summer season. Wilton comprises many old cottages which are served by a winding road skirting the village pond. The road to Great Bedwyn, which runs through part of the village, turns North from the A338. Details of the thriving organisations and attractions within the area of the parish can be found on the linked web site. 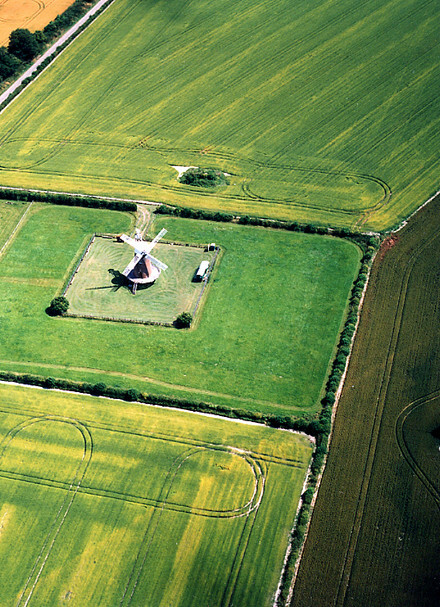 These include the Windmill (below), the Norman Church, the C of E primary school, Crofton Beam engines and many social, interest and sports clubs and activities. Please us the "mail" page on our web site to contact us with suggestions and information for inclusion in our site. Thank you for visiting us on the "web" - why not come and see us in "the flesh"?